DARLEY Abbey’s historic stables have been brought back to life after decades of dereliction following a £950k regeneration project. 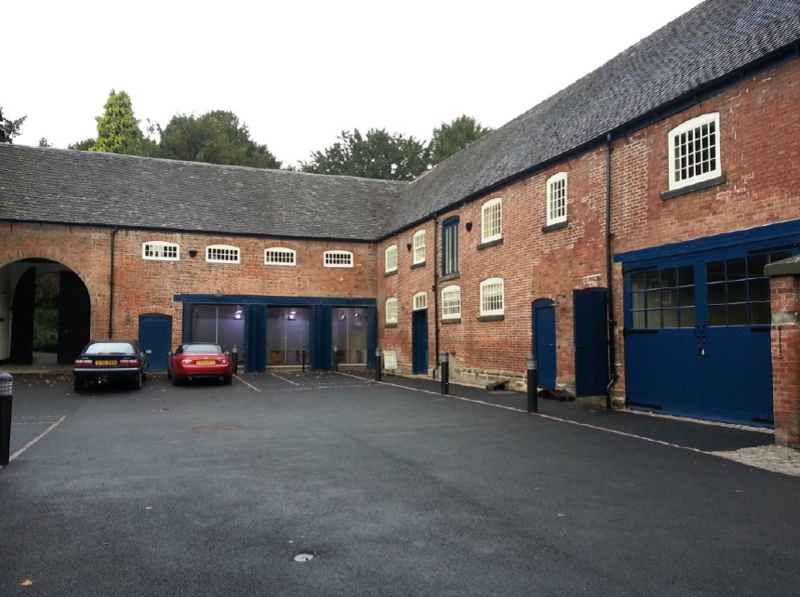 The first businesses have now moved into the Grade II-listed Darley Abbey Stables and Bakehouse buildings following the major year-long regeneration project undertaken by Derby developer Tanya Spilsbury, of Highgate Sanctuary Ltd and Darley Abbey Stables Sanctuary LLP. Derby City Council put almost £300k towards the restoration as part of its Regeneration Strategy for the stables and the nearby Darley Abbey Mills. The Stables and Bakehouse, which sit on the edge of Darley Park behind the Terrace Café, were marketed by the Council’s Estates Department and a long lease was agreed with Dr Spilsbury last year following the submission of her regeneration proposals. The buildings, which have retained many of their original features - including the architecturally significant horse stalls - have been converted into seven offices and a pilates studio. Two offices and the pilates studio are already occupied, leaving five units available for new tenants. Parts of Darley Abbey Stables and the adjacent Bakehouse date back to the early 18th Century and form part of the Derwent Valley World Heritage Site. The outbuildings were originally part of Darley Hall, owned by the Evans family until the site came under local authority ownership in 1931. Darley Hall itself was demolished in 1962. Several years ago, Derby City Council commissioned Atkins to undertake a Regeneration Strategy for the Darley Abbey Mills and Stables, which was published in 2010. The strategy included aims to bring the stable block back into economic use. Once planning approval had been granted last year, Dr Spilsbury appointed Belper-based Bailey Construction as the main contractor for the regeneration works. The architect on the project was Lichfield-based Brownhill Hayward Brown, and Darley Abbey-based consultancy Armsons was commissioned as quantity surveyor. The new tenants include Body in Mind Pilates, Therapeutic and Sports Massage, and a third unit has been jointly taken by Dr Spilsbury’s own development company Highgate Sanctuary and Spilsbury Research, run by her husband Mark. Innes England is marketing the newly renovated buildings on behalf of Darley Abbey Stables Sanctuary LLP. For more information please contact Stuart Waite.